Offer valid for groups of 20 or more. 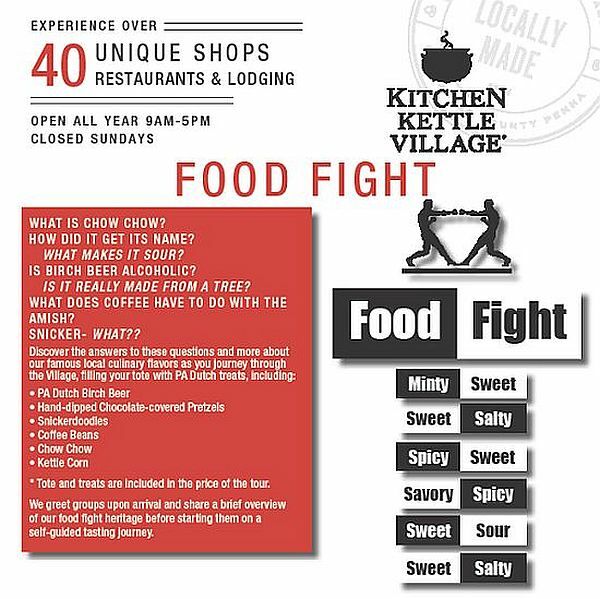 Participate in a good old fashioned Food Fight at Kitchen Kettle Village, enjoy lunch in their Kettle Café, and hear the smooth sounds of Crooners for one great price – $45.50 per person. 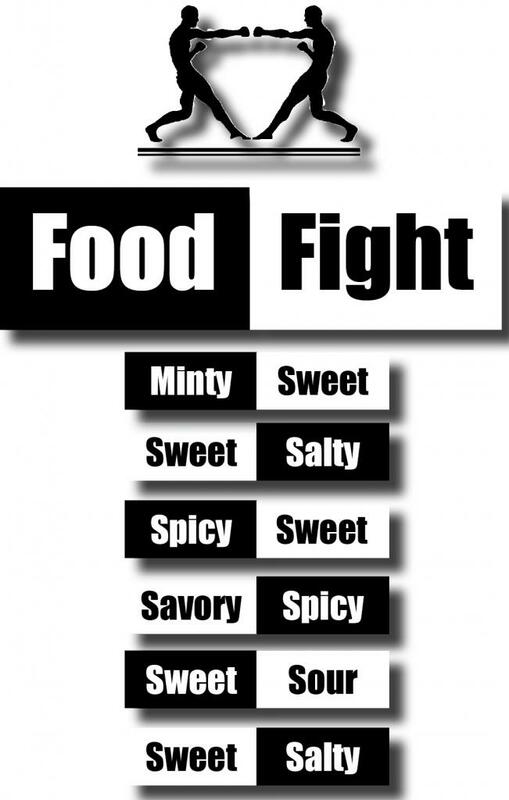 What is Chow Chow? What makes it sour? Is Birch Beer alcoholic? Snicker…what? 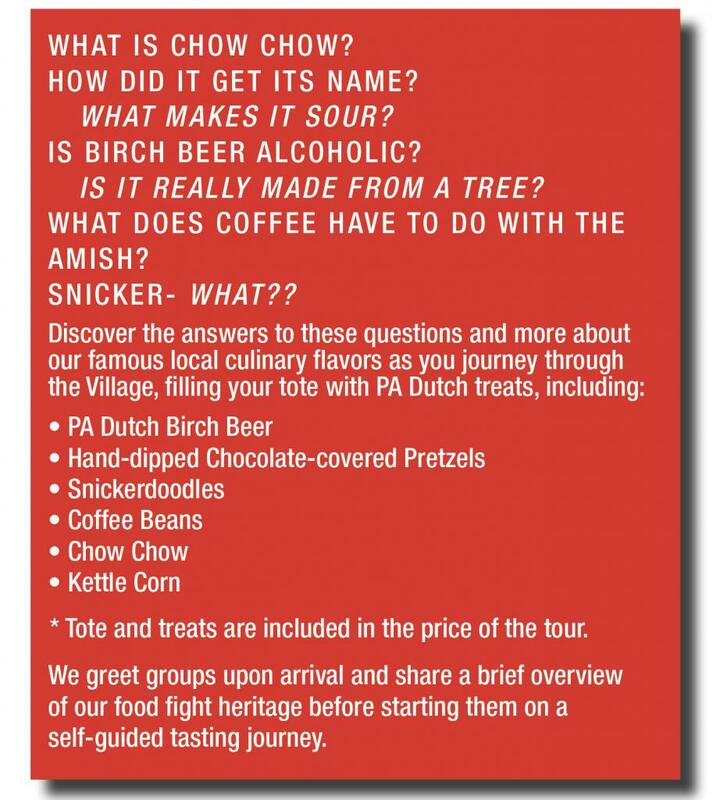 Learn the answers to these questions and more about our famous PA Dutch treats as you journey around Kitchen Kettle Village on this self-guided, untimed tour. You’ll leave with a tote full of our popular regional foods, to enjoy yourself at home! 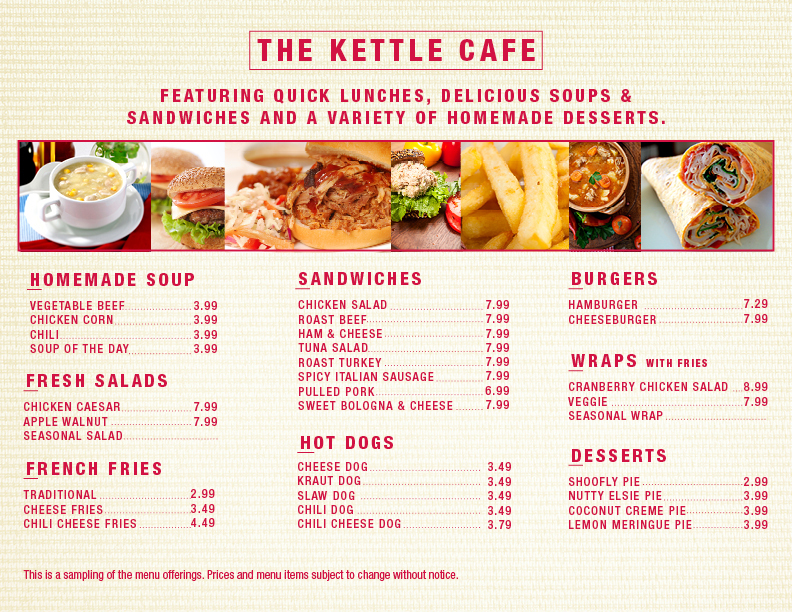 Each member of your group will receive a $10 lunch voucher good for use in the Kettle Café. You may use it towards anything on the menu and do not have to arrive for lunch as a group. 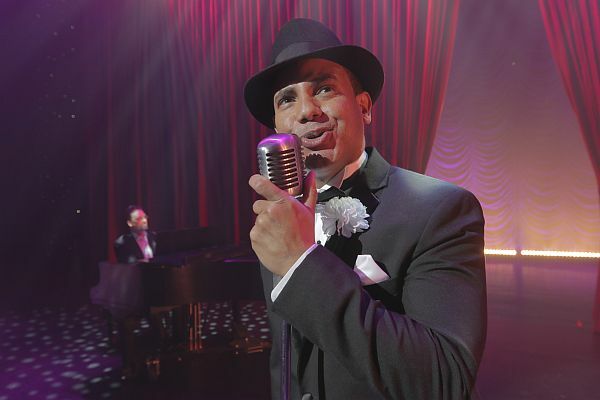 Enjoy the smooth sounds of Crooners, both past and present as our talented cast and band perform music from artists such as Frank Sinatra, Michael Bublé, Dean Martin, Tony Bennett, Ella Fitzgerald, Harry Connick Jr., and more! Package price includes – Food Voucher, show ticket to American Music Theatre, and all taxes and gratuities. Visiting Kitchen Kettle Village is always free. Offer valid for groups of 20 or more. Cannot be combined with other offers. Availability is extremely limited on Saturdays. Please reserve your package early.